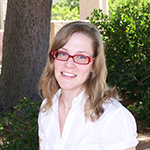 Featured: What's in a Name? Come this fall, much of the Library’s interior space will have been transformed to meet the expanding needs of faculty and students. The new Learning Commons will offer a far more open, multifunctional and dynamic space on the first floor; the lobby will boast an expanded and permanent Freudian Sip; and the University’s Learning Resource Center will have a new home in the third floor east wing. 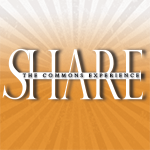 When asked about the Learning Commons marketing slogan, ‘Share the Commons Experience,’ librarian Coleen Martin explains, “A Commons Experience refers to something that is accessible and identifiable to everyone. It’s a fun play on words thought up by one of our creative librarians.” Martin goes on to say that the catch phrase is meant to illustrate how the Library, through its current physical renovation as well as its ongoing technological advancements, continues to integrate and make available an ever-growing list of academic support services and resources. Student employees are the backbone of the Library. 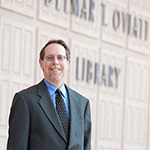 Just ask any staff or faculty member, and they will tell you that their department could not possibly function without the small army of student employees who come to work every day in the Oviatt Library. Each year the Library employs an average of 145 CSUN students who work in part-time positions ranging from shelving books to greeting the public at service desks. They are loyal and hard-working, and many go on to work in the Library or even go on to become librarians after graduation. 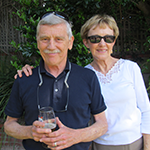 Even though retired librarians Ann and Dave Perkins recently relocated away from their long-time Northridge home, their continuing support of Library scholarships and their ongoing service to the campus as emeritus faculty keeps them closely tied to CSUN and the Oviatt. As a Digital Learning Initiatives Librarian, my primary focus is meeting the needs of our students in an online environment. This means that I collaborate with fellow librarians and campus faculty in planning initiatives relating to information competency, embedded librarianship (where the librarian is integrated into Moodle), open access repositories, and the creation of digital learning objects. If you begin with anything less than a solid foundation, the renovation of any structure can be a tricky enterprise. I believe that this observation regarding the importance of solid underpinnings holds true for both the physical edifice, as well as for the human organization that occupies a building’s interior. So, while in the midst of a remodeling project that will profoundly change the Library’s physical appearance, and with the ongoing modifications required to keep our infrastructure up-to-date in a digital age, I think it is an apt time to revisit our core values: the true foundation of who we are and what matters to us most.